Josh Windmiller and Kalei Yamanoha will be bringing The Crux to England in a couple weeks! They will be joined by Hannah Davis and Adam Lessnau to make it a four-piece-band kinda show! The Crux is bringing a special gospel show to the Rivertown Revival in Petaluma on Saturday, July 14th - come see what it's all about! 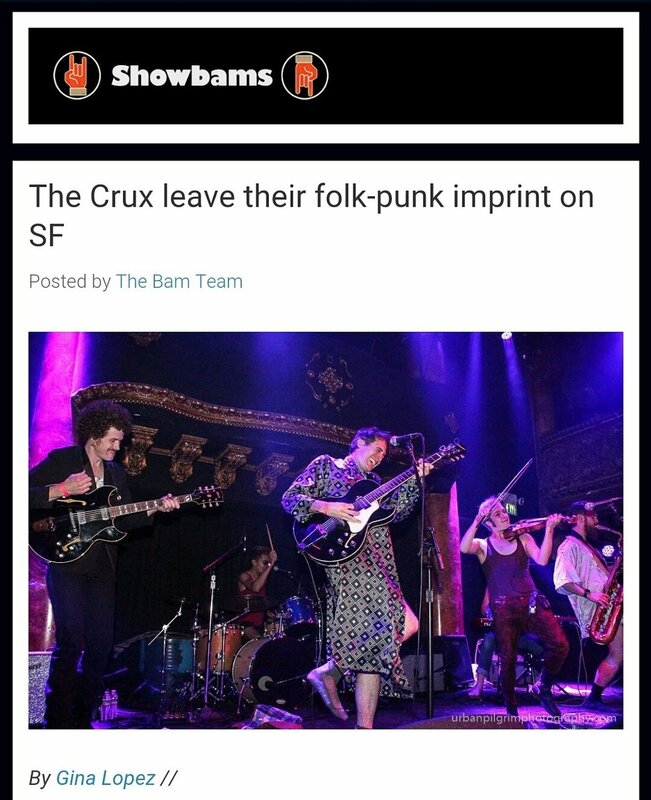 The Crux’s track is called SAME BED. It is about how we splinter but stay together. How sometimes you just want to crawl into warm pocket. About laying right beside someone while you each drift into completely different worlds. SCOTT MICKELSON put over 100 hours into producing this album with regional artists, and he contributed a track to it himself. The other artists who pitched in with a song are David Luning, The Sam Chase, Bobby Jo Valentine, Kelly McFarling, Travis Hayes, M. Lockwood Porter, T Sisters, Avi Vinocur, The Family Crest, Felsen, John Elliott, Jeremy Lyon, and Lauren O’Connell. Please check out the whole compilation on CD BABY and SPOTIFY and consider buying a copy. Money from album sales go toward fire relief. The Crux will be performing at a release party for this baby on Thursday, March 28th at Hopmonk! More info HERE. There will also be a San Francisco release Party (into HERE). Money from the shows go toward fire relief. The Crux recently filmed a 45 minute interview and 5 live videos with the infamous North Bay music video/podcast series ONSTAGE WITH JIM AND TOM. We talk about creativity, making art accessible, and much more!